Now that warmer temperatures have finally prevailed in Colorado, it’s time to shut off your furnace and look forward to the summer ahead. Since you won’t need your heating system until fall and winter, now is the perfect time for furnace replacement in Denver. When you call Premier Heating and Air, we promise to provide you with professional, efficient furnace services. We carry a number of high-quality furnace brands, so if it’s time for an upgrade in your home, you can rest assured that you’ve made the right choice. On top of replacing your furnace, spring and summer are great times to have your home’s ducts cleaned. Dust, debris, and other allergens collect in your ducts and can pose serious health risks to your entire family. Every home, no matter how old it is, could benefit from a thorough duct cleaning. It makes sense to have your ducts cleaned at the same time that your furnace is replaced and Premier’s Torvaxx System will make sure that you are breathing clean, filtered air for the foreseeable future. Premier Heating and Air is also your source for quality air filters. You can stock up on every filter you need and perform routine maintenance every season. It’s important that your furnace and AC filters are replaced regularly, so that there’s no risk of air blockage or system malfunctions. 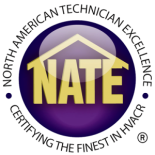 If you need furnace replacement in Denver or professional inspection of your system, don’t hesitate to contact us. Don’t wait until next winter, because by then it will be too late!